Abu Dhabi: From September onwards, motorists will be able to transfer vehicle ownership online without having to visit an Abu Dhabi Police service centre, the Abu Dhabi Police announced in a statement sent on Saturday (June 30). Major General Maktoum Al Sharifi, director general at the Abu Dhabi Police and head of its government services development team, said that providing the service online will simplify procedures for customers, and do away with the need for paper documents. 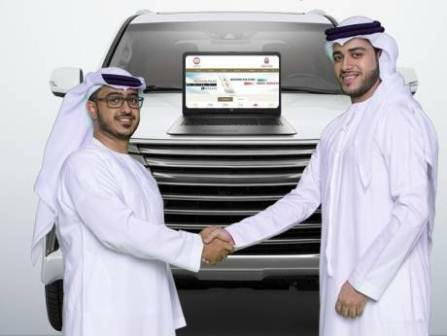 Colonel Saif Al Zaabi, director of the vehicle licensing at the Drivers and Vehicles Licensing Department, urged drivers to visit the customer happiness section at the Abu Dhabi Police in order to access these online services. Motorists must provide their mobile number in order to register to use the application, and they will then receive an access code that will allow them to use the application for the purposes of transferring vehicle ownership. In order to renew a vehicle license, the motorist must pay off any traffic fines recorded under their license or for the vehicle. These fines can be also be paid off by the buyer through the application. However, both parties must ensure that they do not have any vehicles with expired registration in their ownership when attempting to complete the procedures online. In addition, vehicles that are more than three years old must also be tested by the Police before ownership can be transferred. The statement however stressed that motorists will still have to personally visit the Drivers and Vehicle Licensing Department in order to transfer a vehicle license plate to a new car, or to buy a new license plate.